*This post may contain affiliate links. Please see my Disclosure Page for details. This is a sponsored post with Mums the Word Network and Amwell. All opinions are my own. Do you ever wish there was a doctor that catered to busy, on the go moms? You know one that you could visit with from the comfort of your own home or perhaps even the car? Wouldn't life be a little easier if you didn't have to worry about piling all the kids into the car when someone isn't feeling well, or sitting in the waiting room for 30+ minutes? Well guess what there is!!! Seriously I'm not kidding you. 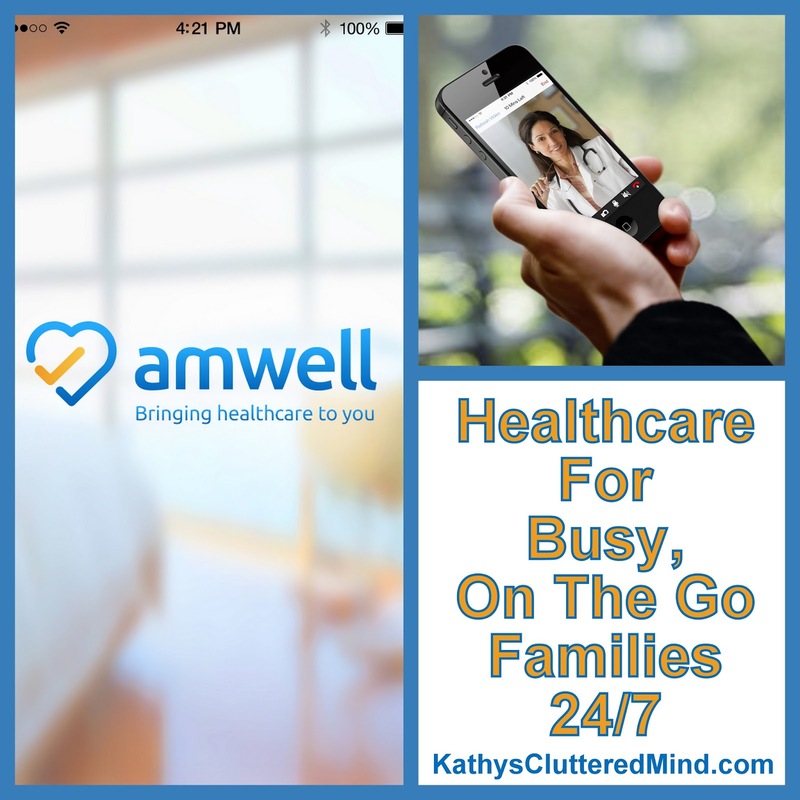 Amwell makes it really easy for busy, on the go moms to speak with a trained and board certified physician. 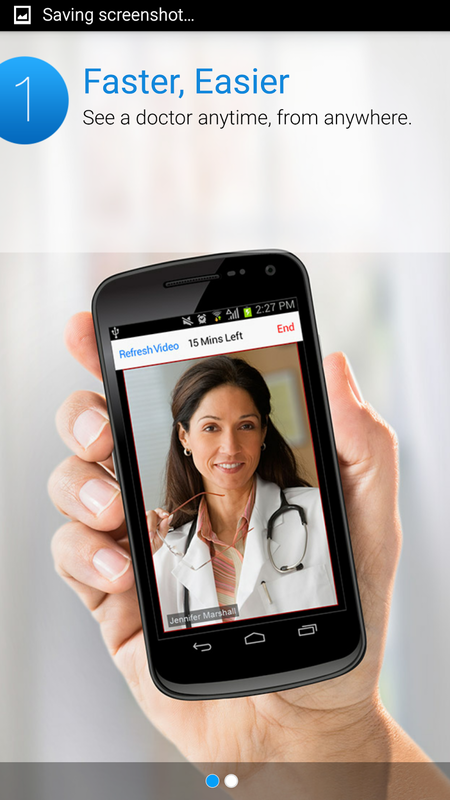 With just one click from your home computer or mobile device you can connect with a physician in your area via live video chat. There are 3 services to choose from: Medical, Diet & Nutrition and Psychology. I used the service today and it was a fabulous, easy experience. 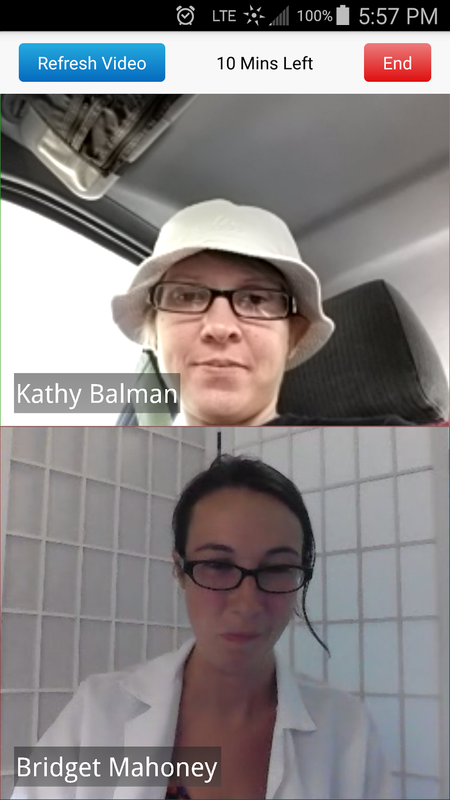 In just 25 minutes (while sitting in the car waiting for my husband to get out of work) I consulted with a nutritionist and got all my questions regarding the best diet for my current medical issues answered. 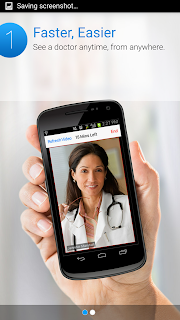 It is really easy to get started with the Amwell Telemedicine service. First sign up from your computer or mobile phone. There is an app available on Apple IOS and/or Google Play Store. After you create your account all of your information will be stored on their secure server for future visits. 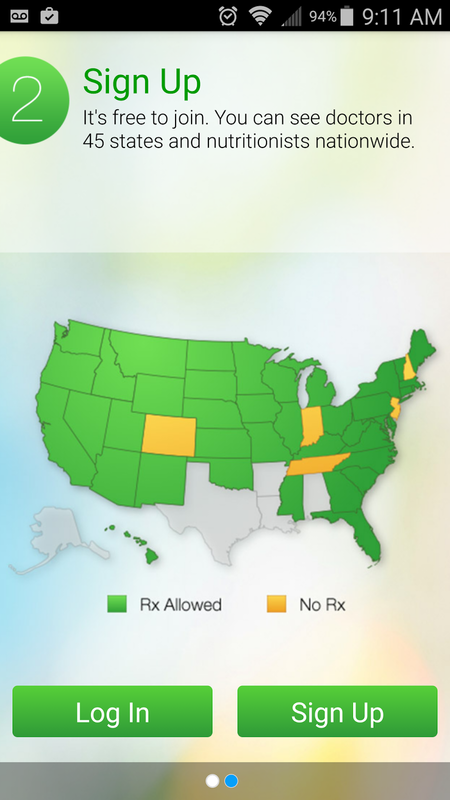 The service is available in 45 states so even if you are traveling chances are you can get the care you need when you need it. After you log into your account simply choose your physician. As I mentioned above there are 3 service options. 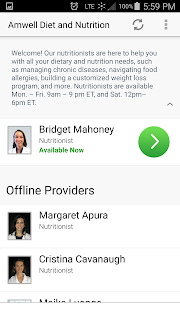 After you click on the service you require you will see a list of providers that are currently online and seeing patients. Simply click on the provider to see their background including language spoken, professional education and years of experience. It will also indicate if the physician can prescribe prescriptions. After you select your doctor you will be enter some health information like the reason for your visit, current medications, pharmacy information, etc. You can also upload a photo if need be. 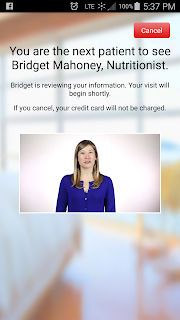 Finally you will enter your credit card information for your copay which ranges between $25-$45 (you can also check with your insurance company to see if they cover telemedicine costs). After you complete your registration you will have a brief waiting period while the doctor reviews your medical records and then your online video chat will begin. 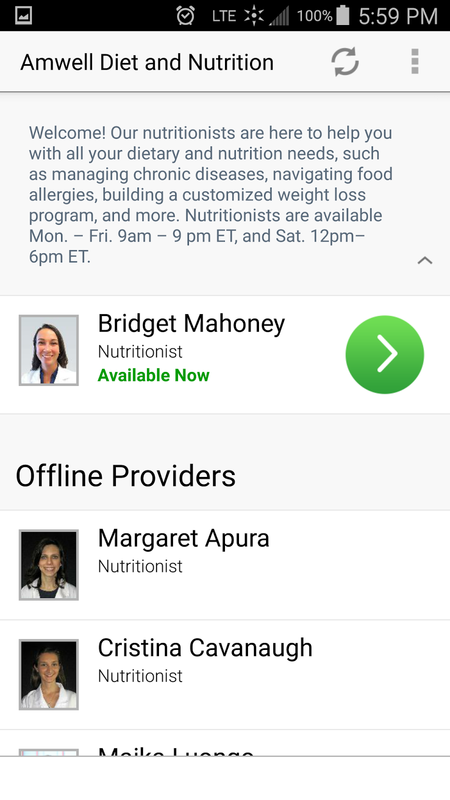 About an hour after my visit the doctor sent me a secure message through the app which included my visit summary along with several handouts outlining some dietary recommendations. 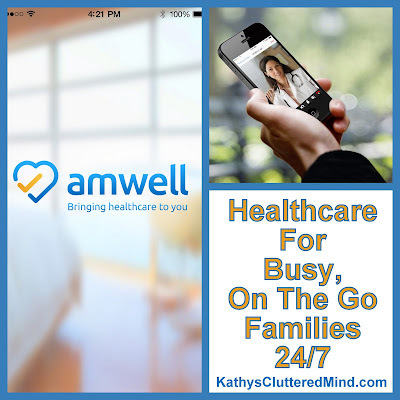 If you want to see for yourself how amazing the Amwell service is then give it a try. Use the code LOVEAMWELL40 at checkout to receive $40 off your visit ($9 visit).